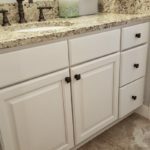 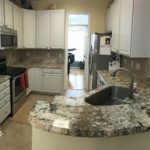 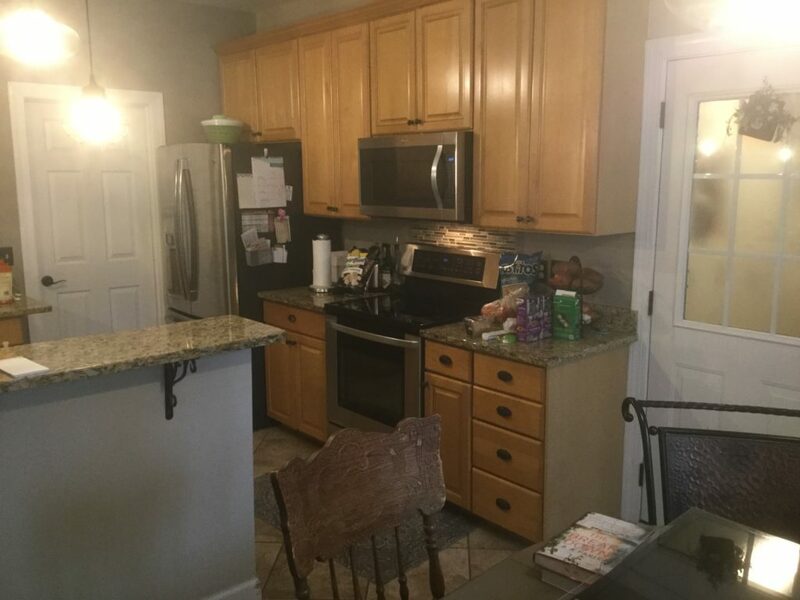 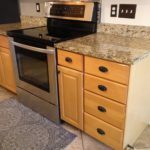 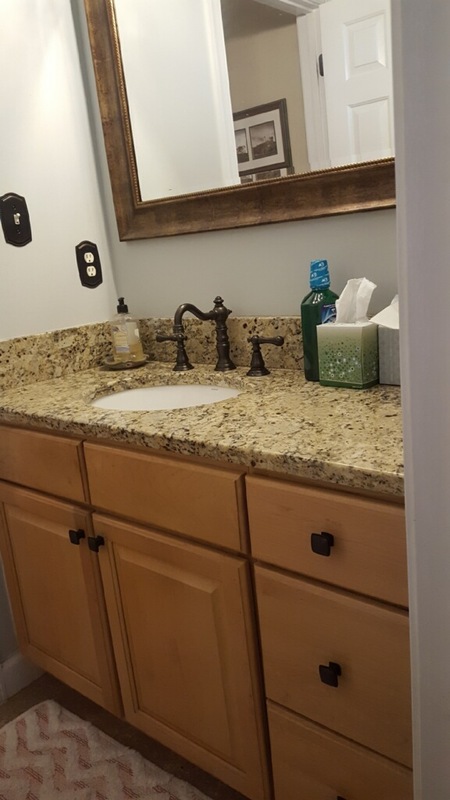 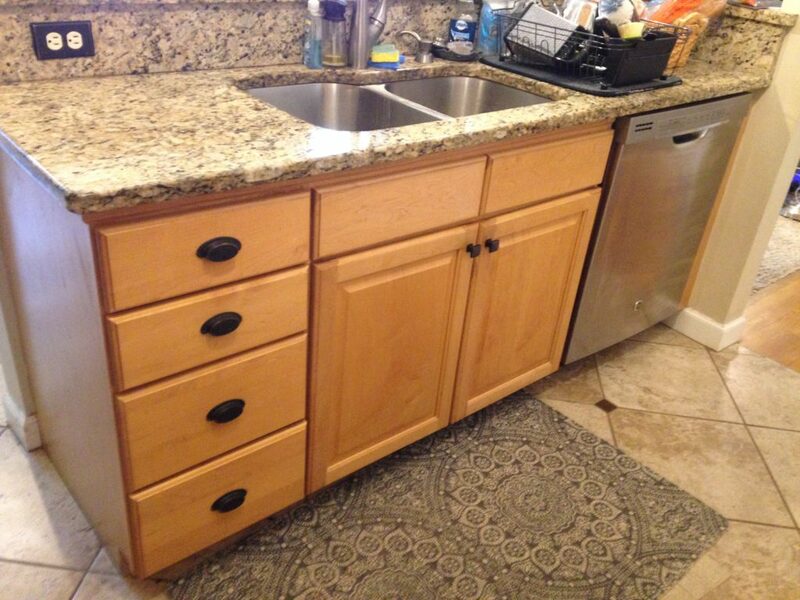 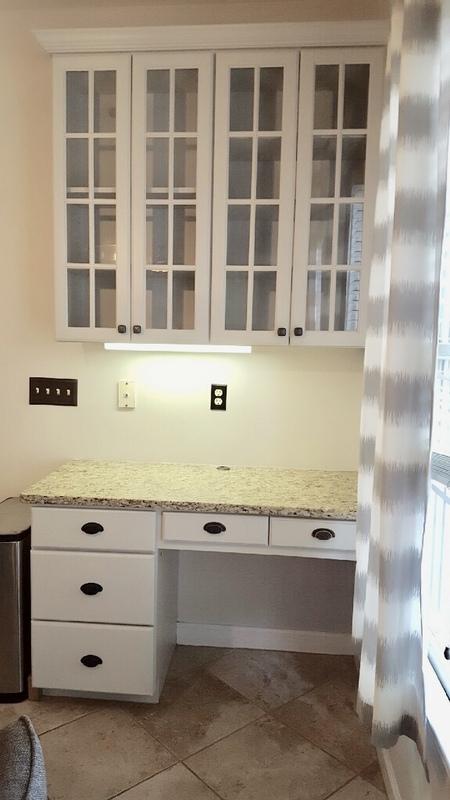 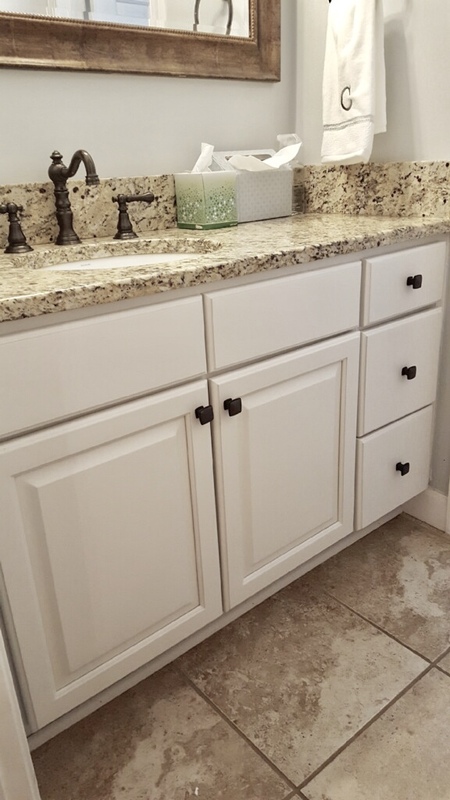 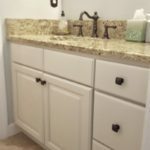 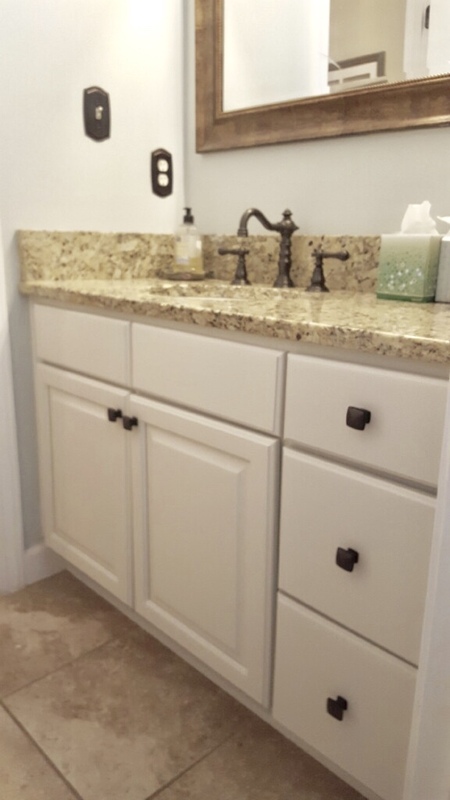 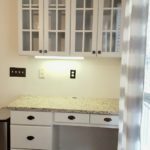 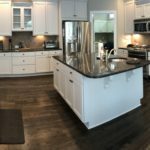 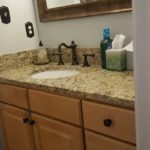 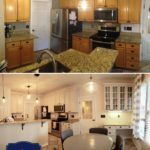 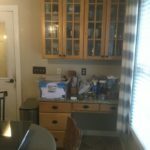 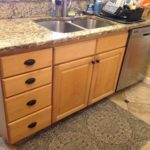 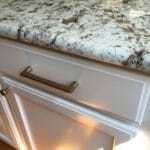 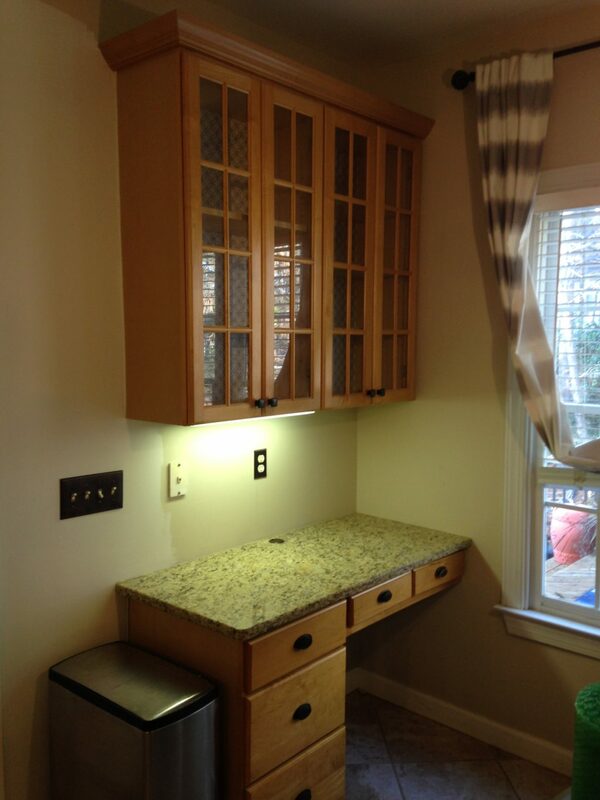 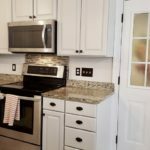 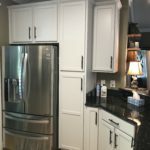 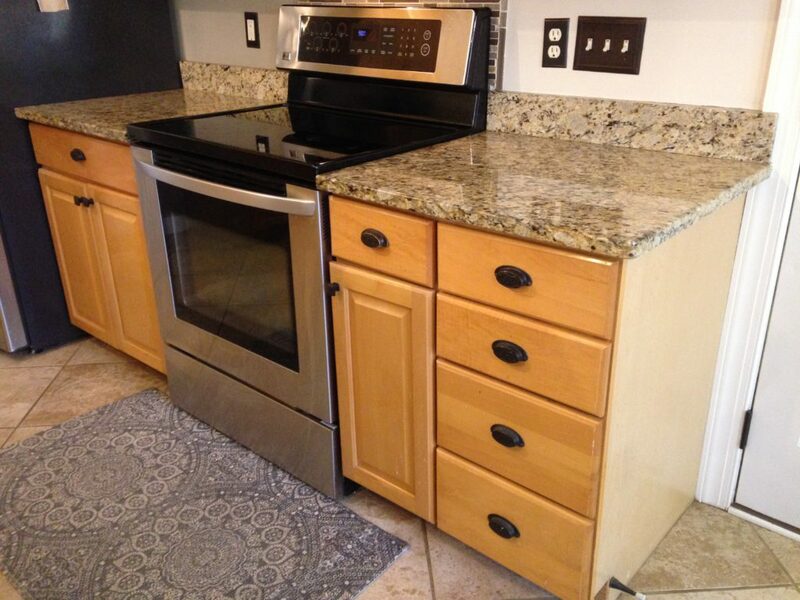 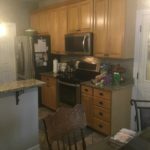 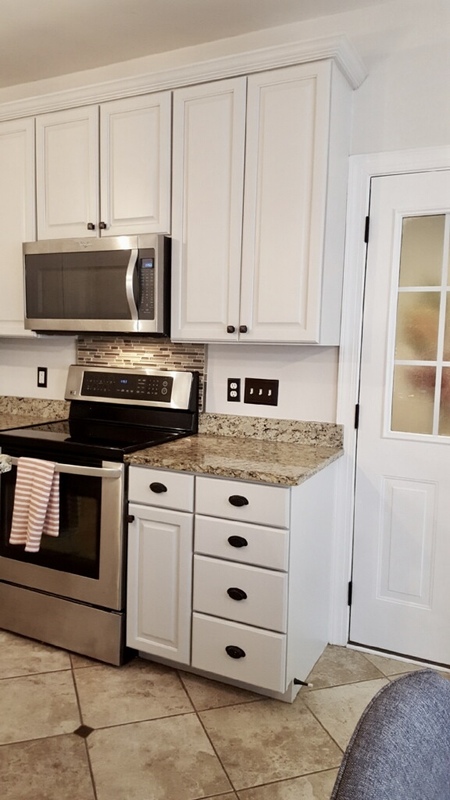 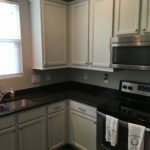 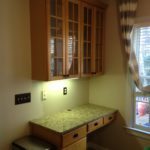 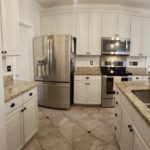 Our homeowner was ready to say goodbye to her dated maple cabinets. 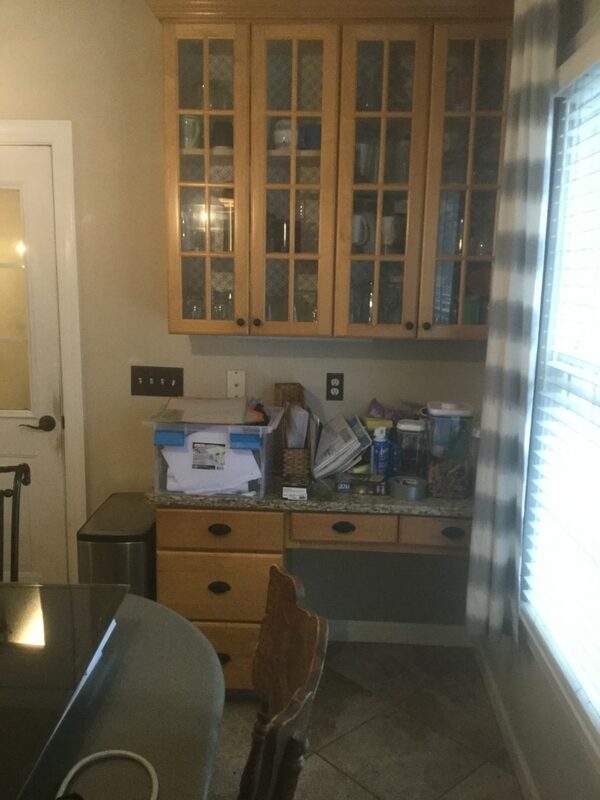 The finish, as usual, had gradually turned orange over time and now the cabinets stuck out like a sore thumb. 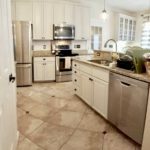 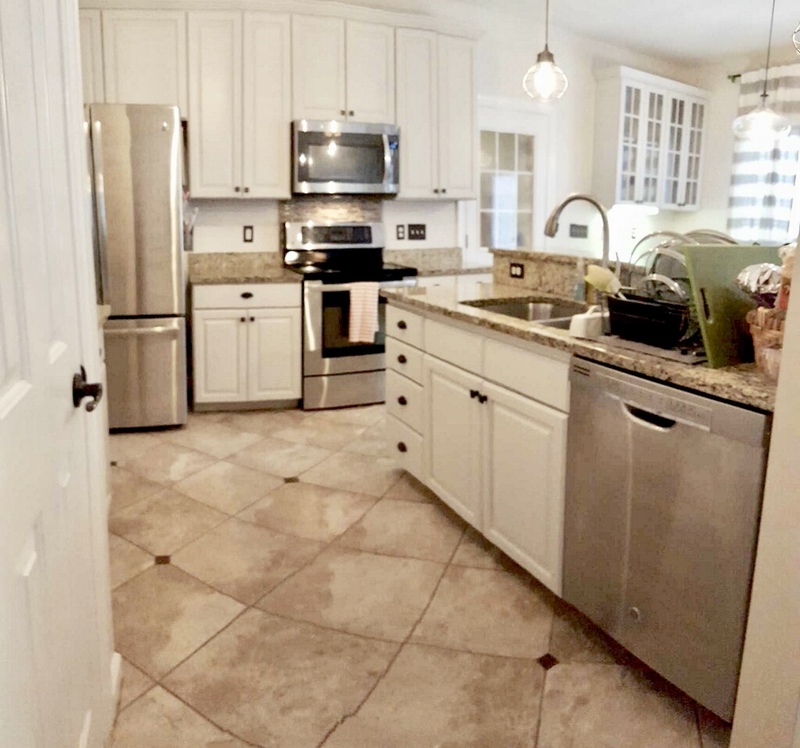 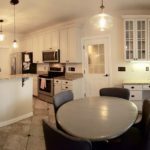 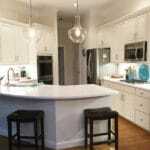 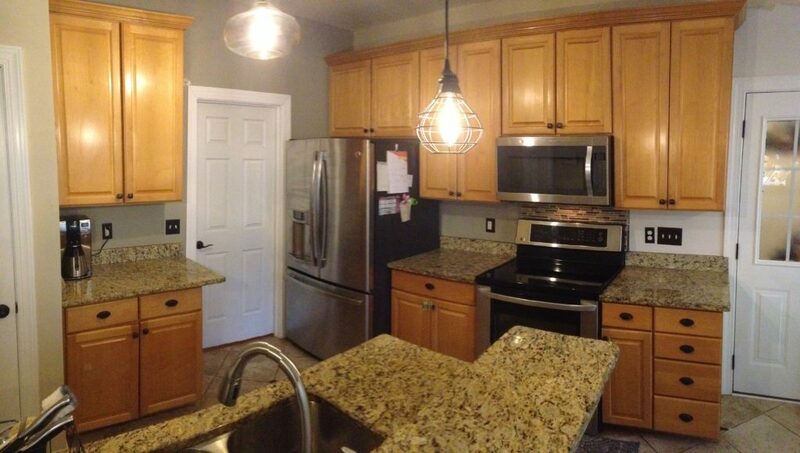 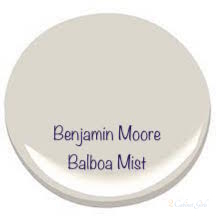 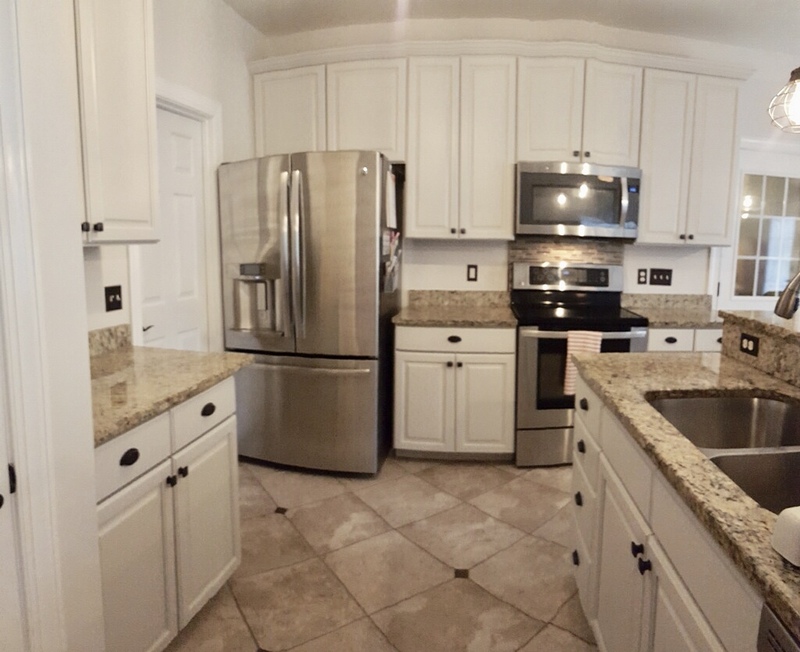 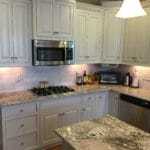 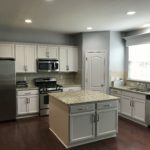 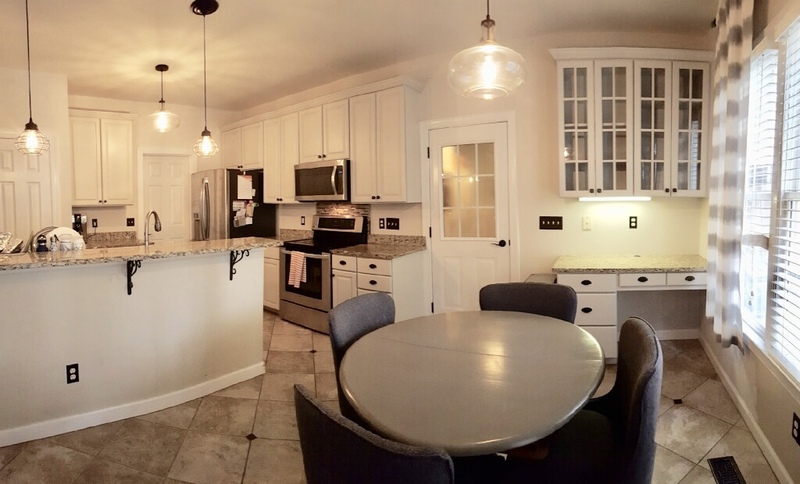 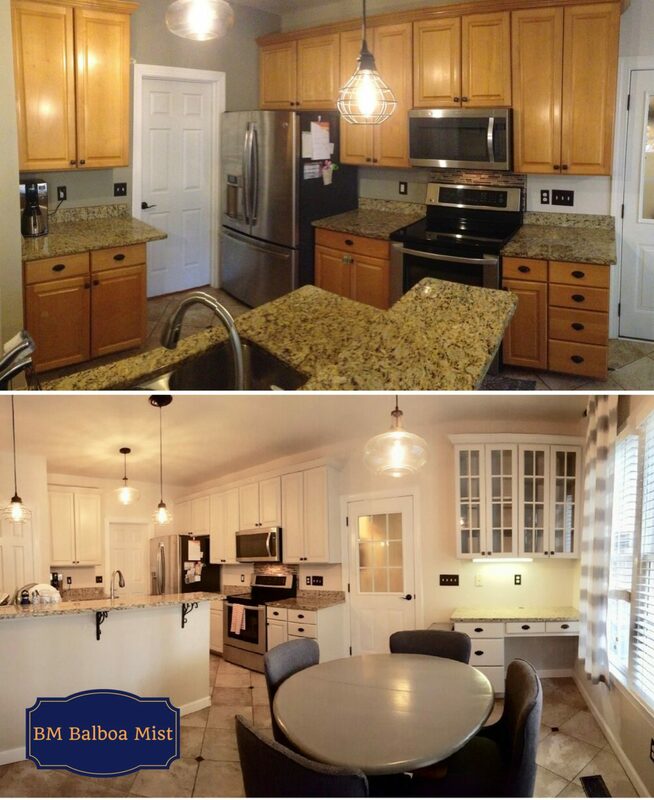 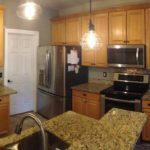 We used Benjamin Moore Balboa Mist, a super soft taupey gray to soften the look of this kitchen.